What makes O'Neill Pine Company special? We are a family first company. Our company has deep roots as a family owned business. The family patriarch, Robert Harold O'Neill, felt strongly that owning one's own business was the best form of employment. He shared ownership of the company, Hemphill-O'Neill, Inc., freely with family members. His son, Robert Hugh O'Neill, continued that legacy and O'Neill Pine Company, OPC, was born of a continuing effort to perpetuate the family business forever. OPC has twice been recognized as the small business in Oregon with the most family-friendly policies and practices. We avoid family business pitfalls. There is a clear separation of family love and family business, of company ownership and company employment. We clearly communicate expectations and opportunities and value employment of family members inside and outside of our company. Our business works with well-defined partnerships. Controlling interest owner, Debra O'Neill Pine, is the Board Chair and Corporate Secretary overseeing the company while Richard Pine is the President. Financial Products & Services, Inc. (real estate and industrial site management), Northwind Forest Consultants, LLC (forest management), and Evergreen Charitable Trust (charitable endowments and anonymous giving programs) are other trusted partners that come together to help OPC accomplish it's mission. We make a substantial investment in social capital. Ten percent of paid work time is dedicated to approved civic or charitable activities. 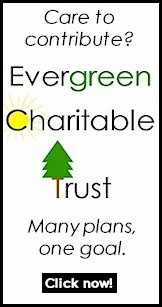 Ten percent of our net income supports Evergreen Charitable Trust. We annually provide substantial grants in memory of Robert Harold O'Neill. We have been recognized for our community contributions and are involved corporate citizens in the areas where we live and do business. There is more to life than making money! We have values that are more important than profits. We work to honor God.